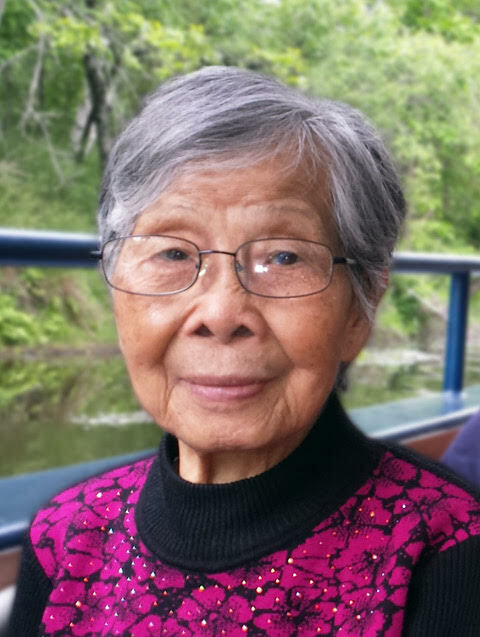 Leung, Pui Wah, of Quincy, passed away on August 16th 2018. Born in China on February 24th 1928, Mrs. Leung was the wife of the late Sung Sun Lai. Mother of the late Hang Lan Lai and her husband Antonio Cheng, Hang Fong Lai and her husband Sau Man Lui of Hong Kong, Polly Lem Lai and her husband Eddie Lem of Brockton, Kwan Pui Lai and his wife Yuk Ling Ng of Quincy, Maggie Li Lai and her husband Freddy Li of Braintree, Judy Ng Lai and her husband Vincent Ng of Canada, Donna Mok Lai and her husband Willy Mok of Canton and Alex Lai and his wife Elsa Woo of Brockton. Also survived by many grand and great grandchildren, nieces, nephews and extended family both from here and in China. A Funeral Service will be held for Mrs. Leung on Thursday August 23rd at 11AM at Hamel-Lydon Chapel, 650 Hancock St. in Quincy. Visiting hours will be held on Wednesday August 22nd from 6 to 9pm.